Ordering is 100% Safe – Satisfaction Guaranteed. At SoftCafe we are 100% committed to protecting your security and privacy. We know that when you shop online, you want to know that your name, address, and credit card details will be kept safe and secure, and we promise to do that. All of our transactions are processed securely using Stripe, the leader in secure Internet payment processing through SSL technology. Stripe's secure-server software encrypts your personal information including credit or debit card number, name and address. The encryption process takes the characters you enter and converts them into bits of code that are then securely transmitted over the Internet. And because we know how annoying junk mail is, we promise not to pass on your e-mail address or delivery address to any 3rd party. ● 500 MB available hard disk space, and 2 GB RAM. ● An internet connection is required to download the product and for easy first-run, one-time activation. 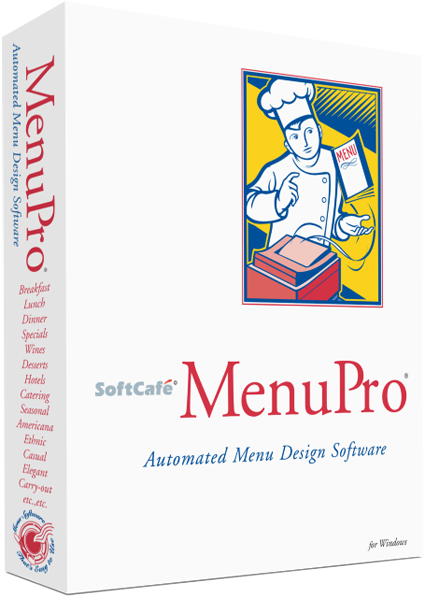 MenuPro 10 is backed by our 30-day, unconditional, money-back guarantee. If you're not 100% satisfied, just let us know, and we'll issue you a full refund - no questions asked.